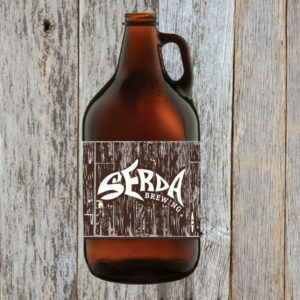 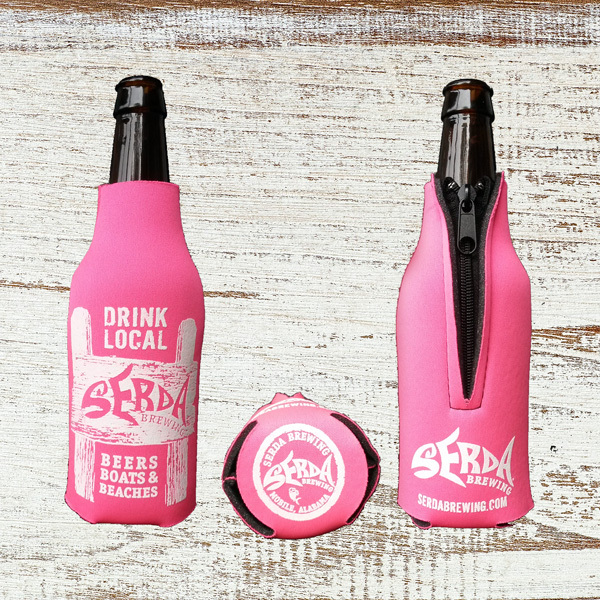 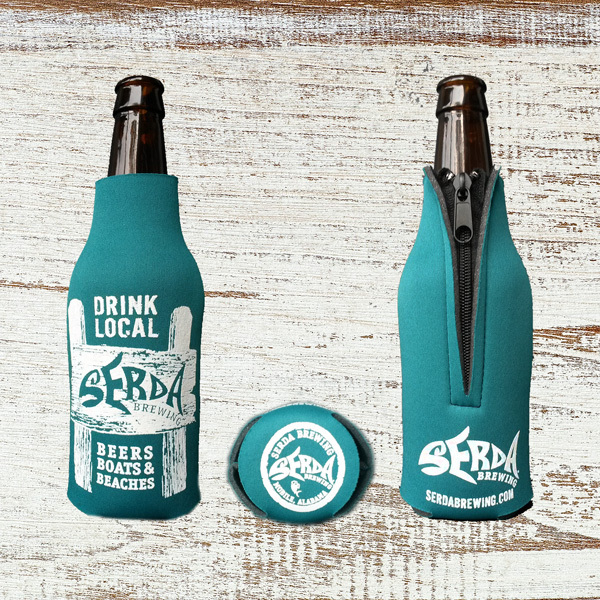 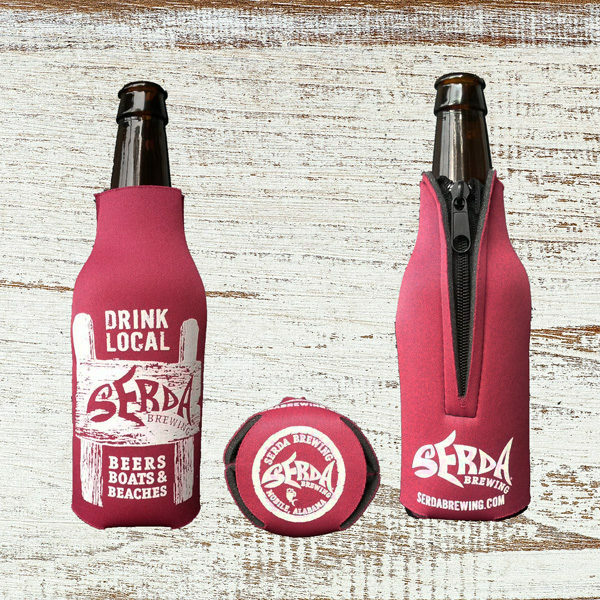 BOTTLE COOLIE W/ ZIPPER - Serda Brewing Co.
Keep your beer cool with our 12oz. 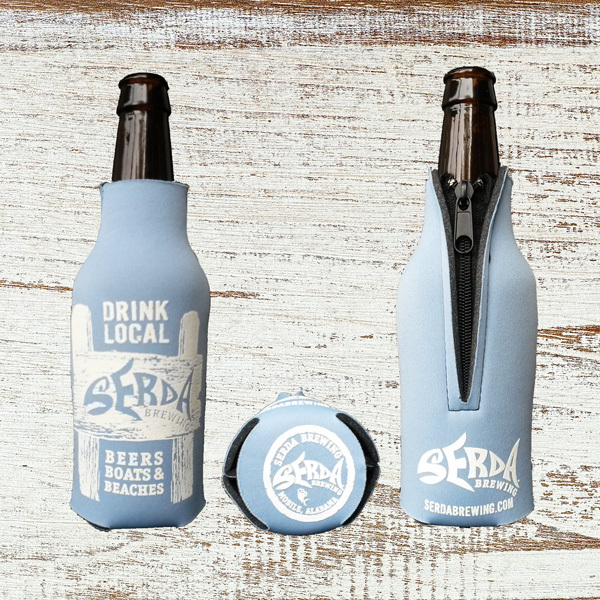 collapsible bottle coolie with zipper, imprinted on both sized and bottom. 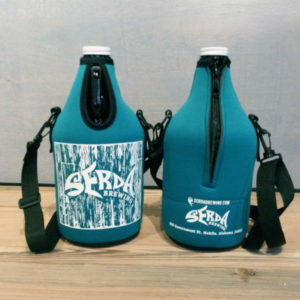 Made of premium 1/8” thick scuba foam and features a zipper for easy use.